The dark mode or night mode is becoming increasingly popular among Android apps. Off late we have seen apps like Youtube, Twitter, Slack, and Facebook Messenger adopting dark mode. A dark mode basically reverses the colour scheme by turning the background to black or dark grey and text elements to white. Almost everyone is switching to dark mode mainly because it’s easier on eyes, especially during the night. It also helps in saving battery life on Android smartphones. 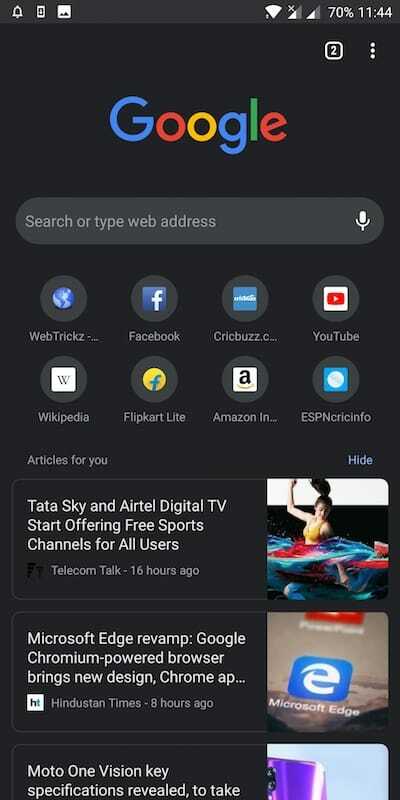 It seems Google Chrome will also get dark mode soon as the feature is now available under the beta channel. 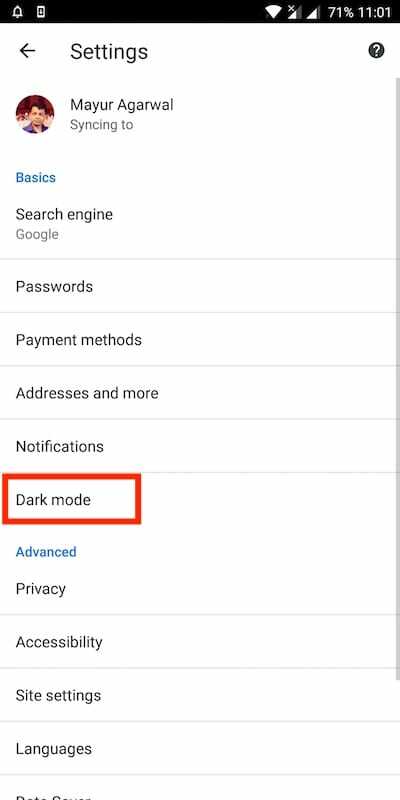 If you’re running Chrome Beta for Android then you can easily activate and turn on the dark mode setting right now. The dark mode was initially added in the experimental Canary channel of Chrome earlier this month. The feature is accessible by enabling the new “Android Chrome UI dark mode” flag in Chrome Canary. After experimenting it on Canary build, Google soon rolled out the dark mode flag for Chrome Dev and eventually for Chrome Beta. 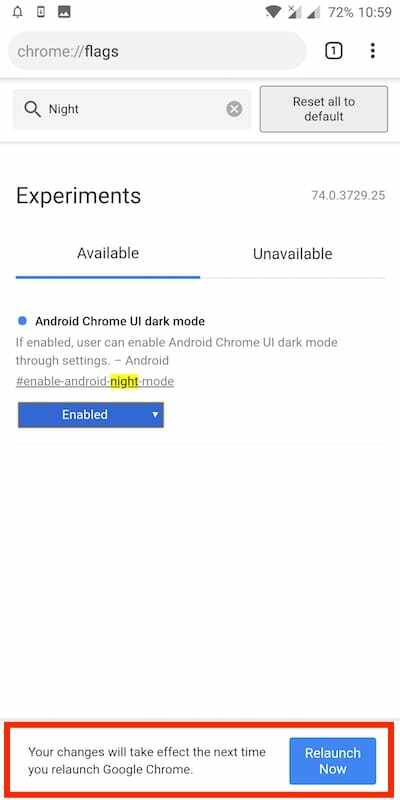 Perhaps, if you’re using the latest beta release of Chrome for Android then you can get dark mode without further delay. Fortunately, the supported beta build (v74.0.3729.25) is now available on Play Store. Download Chrome Beta from Google Play or update it to the latest version, if already installed. 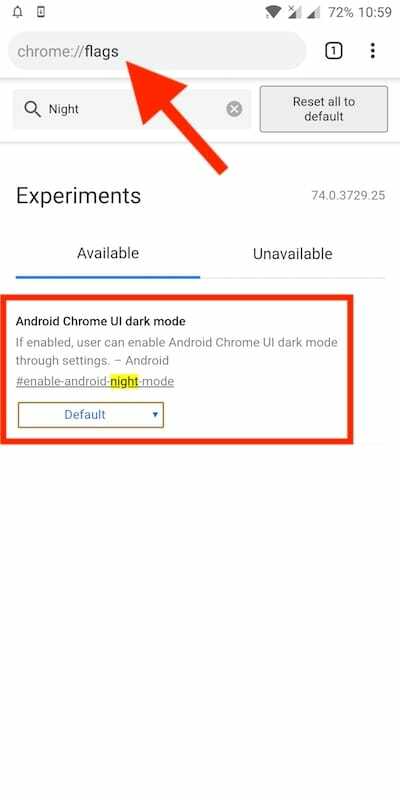 After doing so simply follow the steps below to enable the dark mode flag in Chrome browser. 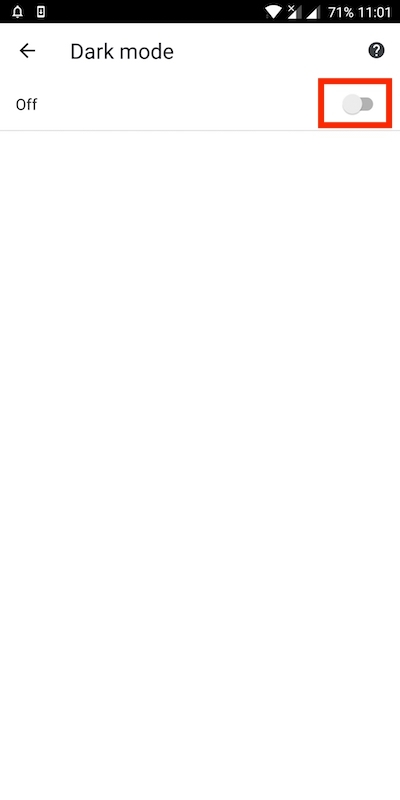 Open Google Chrome and type chrome://flags in the address bar. 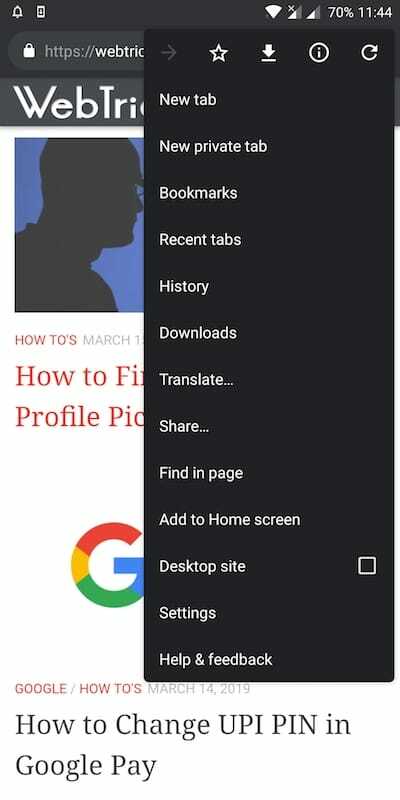 Search for “Android Chrome UI dark mode” flag using the search flags bar. 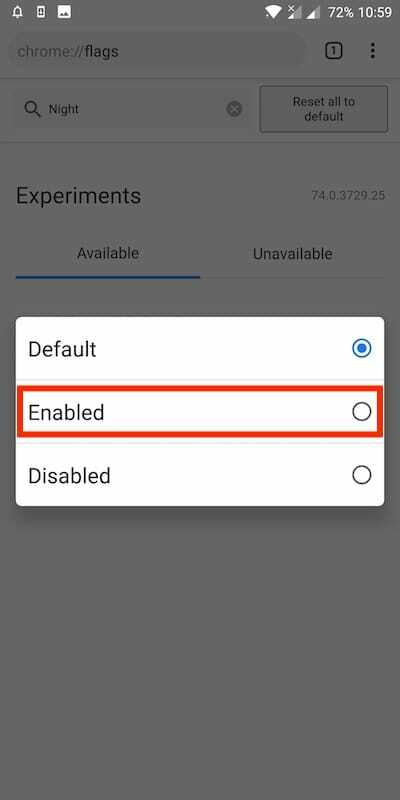 Tap the dropdown menu for dark mode flag and set it to “Enabled”. Tap on “Relaunch Now” at the bottom to restart the browser. Tap menu (3 dots) icon at the top right and open Settings. “Dark mode” option will now appear under Basics in settings. Tap on dark mode and turn it on. That’s it! Chrome will instantly switch from white to a dark grey background. 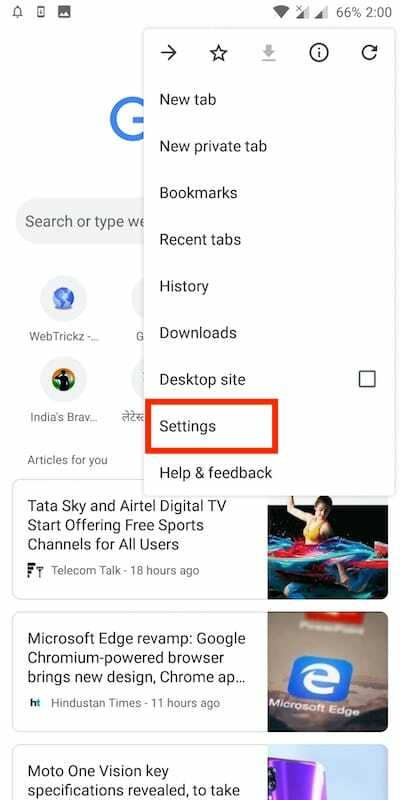 The transition can be seen entirely across Chrome, including the new tab page, settings, incognito mode, menus and more. In case you wish to switch back to the light theme, simply turn off the dark mode. 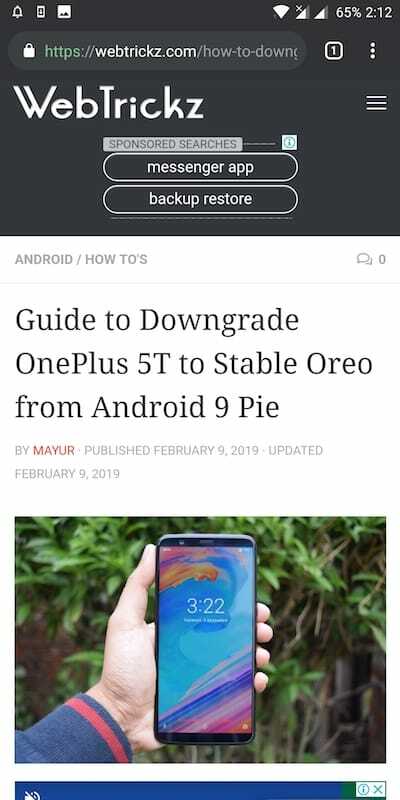 With this update, we hope Google brings dark mode under stable channel soon. Next story How to Record a Live Stream?